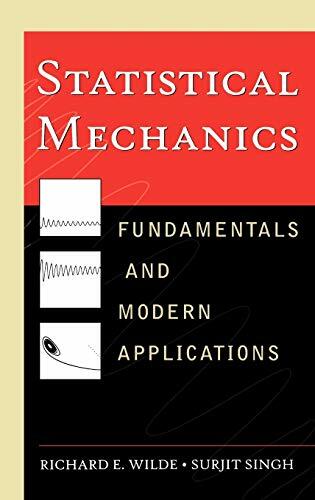 [PDF] Statistical Mechanics: Fundamentals and Modern Applications | Free eBooks Download - EBOOKEE! Description: Statistical Mechanics reflects the latest techniques and developments in statistical mechanics. Covering a variety of concepts and topics - molecular dynamic methods, renormalization theory, chaos, polymer chain folding, oscillating chemical reactions, and cellular automata. 15 computer programs written in FORTRAN are provided to illustrate the concepts as well as more than 100 chapter-end exercises. No comments for "[PDF] Statistical Mechanics: Fundamentals and Modern Applications".